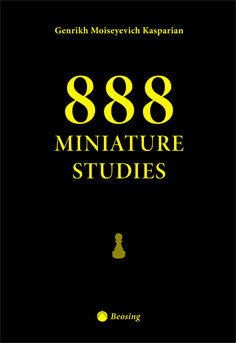 There are known some thousands of miniature studies in the whole world. The best of these studies are comprised G. M. Kasparian’s book about chess composition. The Armenian Grand Master speaks about the importance of the works of the chess study founders: A. Troitski, G. Rinck, V & M Platov, L. Kubbel, and many other composers. This book is dedicated to the chess players and to everyone who likes chess composition. The book presented here by G. Kasparian is one of the books that deserve to be greatly appreciated. 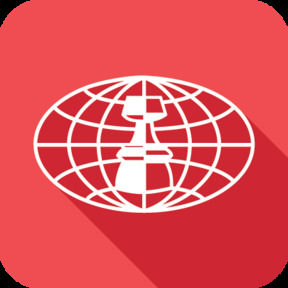 Its technical value can be useful for all studies lovers and especially for practical chess players, in preparation. Not once it was proved that studies can be extremely useful for chess players, because they not only develop their imagination and creativity, but face them with unusual situations that may appear on the chess board, sometimes seemingly impossible to be solved. Compared to the first version of this wonderful work, this edition brings additions that grow, not only numerically, but especially its quality. As a coach, who commonly used the first edition of this work, "555 miniature studies", I can appreciate, without the fear to be wrong, that we are dealing with a complex ma­terial, very useful for coaches who want to put "to work" their students, in preparing them for high performance. For these reasons I consider that such a book must have its place in every coach's library and, probably, in any chess lover's library. Especially I would like to take this opportunity to thank to the son of the great Genrich Kasparian, Mr. Sergei Kasparian who, by his kindness, provided us his father's manuscript and without whose goodwill is not known when this book might see the daylight. Sergei Kasparian is also a chess composition lover, which is why, at the end of this book, I introduced some of his most interesting studies.